Peugeot's 306 Rallye is one of those rare machines that takes a class-leading formula and changes it for the better. Manufacturers usually make a model more attractive by loading it with equipment on the premise that British drivers like their cars to be palaces of comfort and convenience. But it sometimes pays to be different. 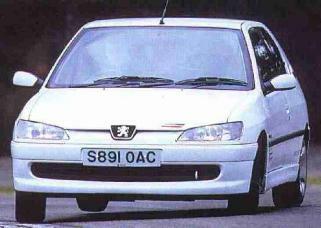 And that's the logic Peugeot has applied to this member of the 306 range. 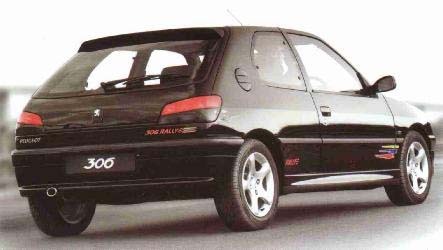 The concept behind the Rallye is simple enough and one the French firm has successfully employed before with models in the 205 and 106 ranges. In targeting buyers who want maximum driving experience rather than cosseting luxury, it is painless for Peugeot to strip out equipment - and therefore weight - to heighten the appeal for enthusiasts. The 306 Rallye doesn't go to the extremes of the original 106 example, but the theory is the same. The 306 GTI-6 on which the Rallye is based is an excellent driver's car in its own right, and justified in staking a claim to the top spot in the hot hatch class. With performance that can trade blows with anything else in the Peugeot range, including the V6 coup�, and better balance than a tightrope walker, the GTI-6 is a great car. The trouble is that at �18,450 it's also expensive, and a fair slice of that sum goes towards high levels of comfort and equipment. The total difference in weight between the Rallye and the GTI-6 is a modest 16kg and, if truth be told, we struggled to spot any change in the performance characteristics - but then the GTI-6 is lively enough in the first place. The 2.0-litre, 16-valve powerplant is unchanged for the Rallye and remains a star, especially compared to other Peugeot engines. It easily revs past 7,000rpm, and with the maximum power not coming until 6,500rpm and torque peaking only 1,000rpm earlier, you really need to make the most of those upper reaches of the rev range to get the best from this car. A claimed 0-60mph sprint time of eight seconds is nothing special in this class, but its performance is particularly impressive where it matters most - out on the open road. Keep the revs above 4,500rpm and the car responds eagerly to the throttle in any of the six gears, the engine note rising with equal vigour and suggesting perhaps some of the sound-deadening material also disappeared in the 'Rallye-isation'. 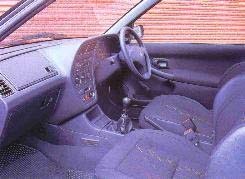 Sitting in the supportive, heavily side-bolstered sports seat, the driver faces the familiar, user-friendly dash that has served the 306 well for years. It looks dated now and cannot match rivals on quality, but the basic ergonomics still hold good. With height-adjustment on both the seat and steering column, most people will find an acceptable driving position, but the majority view among our road testers was that the seat just isn't low enough for a sporting car - you feel as if you are sitting on it, rather than in it. Thankfully, that glitch does not hamper the rewards to be had from the Rallye version. Like the GTI-6, this model offers one of the most responsive, fluid driving experiences you'll find in a front-wheel drive car. Grip is plentiful, but the 306 is far from stodgy - it turns into corners quickly and predictably, the power-assisted steering providing the driver with feedback which is among the best to be found anywhere. All of this means you can hustle along your favourite roads enjoying the Rallye to the full with confidence. That doesn't mean if you drive like a lunatic the Peugeot won't bite - it will - but in safe hands this 306 can cover the ground at an astonishing pace. The braking system, which boasts ventilated front discs and ABS, is well matched to the car's abilities and responds sharply and consistently to pedal pressure. That there is room for five in the cabin and a fair-sized luggage area is a bonus when you buy a car such as this. And, in absolute terms, the level of equipment is not too stingy - airbag, remote central locking and a reasonable stereo are among the highlights. 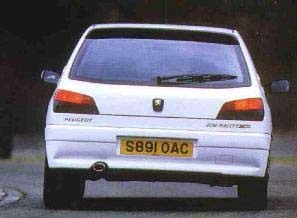 The Rallye decals are part of the package, and if black isn't your colour, Peugeot offered this car in red or white.